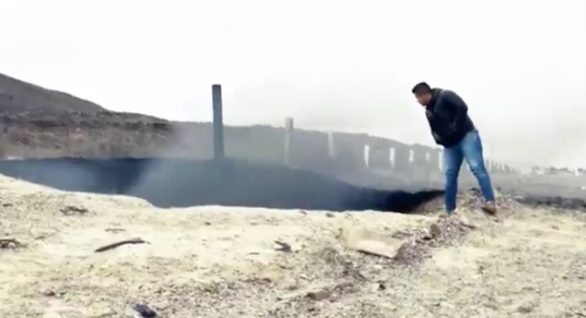 UFO SIGHTINGS DAILY: Unknown Object Causes Mysterious Burning Crater Near Road In Mexico, Jan 2018, Video, UFO Sighting News. Something crashed near a road way in Mexico last week. 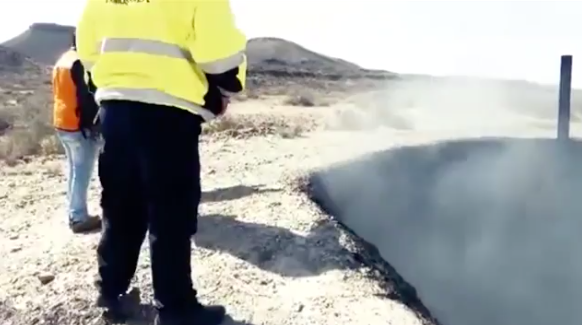 Reported by Secureteam10 of Youtube, this video shows us the crater still smouldering from impact of an unknown object. The crater is 26 feet across according to reports, but what sits at the bottom of the crater has not been announced. We are still waiting for reports about what was found at the bottom. When this comes in, I will let you know immediately.